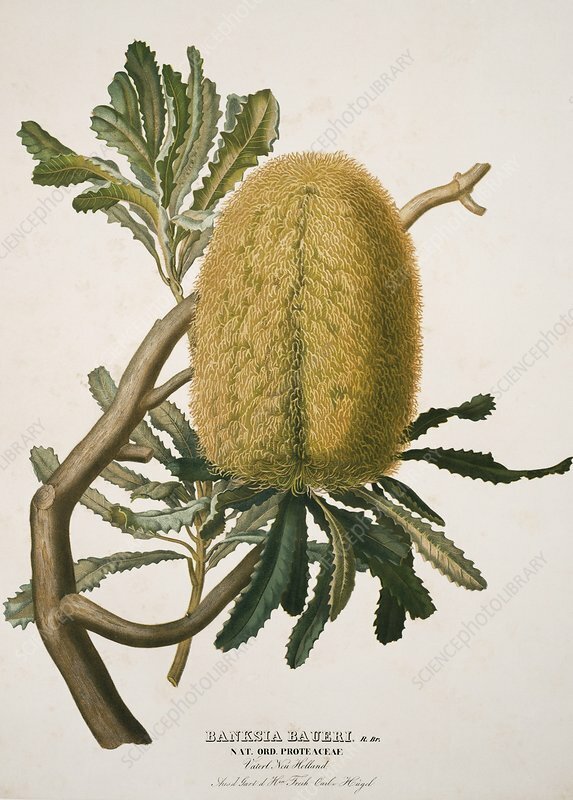 Woolly banksia (Banksia baueri), 19th-century botanical artwork. This plant is found in south-west Western Australia. This lithograph, by Austrian artist Anton Hartinger (1806-1890), was originally published in 'Paradisus Vindobonensis' (1846).